Colombian President Juan Manuel Santos used his Nobel Peace Prize acceptance speech on Saturday to call for a rethinking to the war on drugs. 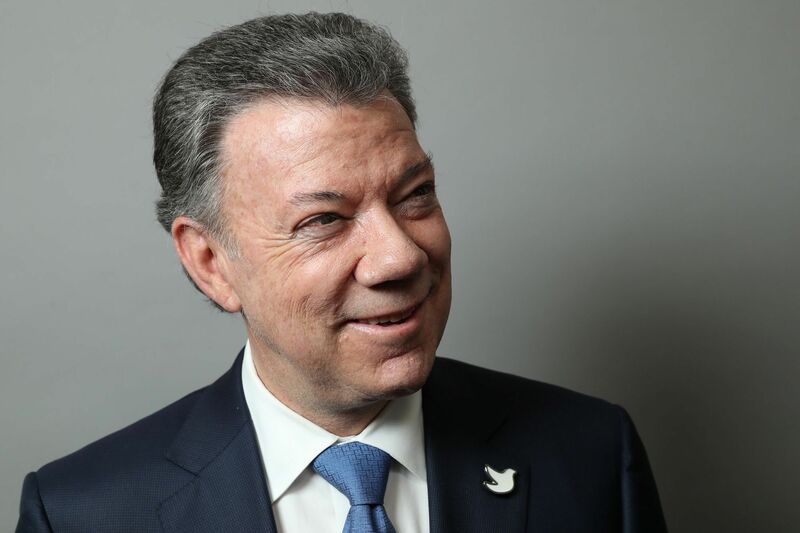 Colombian President Juan Manuel Santos used his Nobel Peace Prize acceptance speech on Saturday in part to call for a rethinking of the world’s approach to the war on drugs, which he called “perhaps even more harmful” than the armed conflicts currently being waged around the world. President Santos was awarded the Nobel Peace Prize in part because of his efforts to resolve the decades-long conflict in his country involving the country’s FARC rebels. The gruesome conflict had persisted since 1964, and has claimed the lives of over 260,000 people and displaced millions more. Santos was awarded the prize after brokering a peace deal last month between the rebels and the government. Santos used his remarks to call for what he termed a “rethink” of the global attitude toward drugs, calling the world’s current approach counterproductive. Santos in his speech said that the current law-and-order approach to drugs has been ineffective in curbing the continued rise in crime, particularly violent crime. We have a moral authority to state that, after decades of fighting against drug trafficking, the world has still been unable to control this scourge that fuels violence and corruption throughout our global community. He went on to cite several areas of the United States as examples of drug policy done correctly. It makes no sense to imprison a peasant who grows marijuana, when nowadays, for example, its cultivation and use are legal in eight states of the United States. He concluded his remarks by stating that the world was likely being harmed even more by the Drug War than by all its current armed conflicts. The manner in which this war against drugs is being waged is equally or perhaps even more harmful than all the wars the world is fighting today, combined. Santos has been outspoken for years regarding his opinion on the liberalization of the world’s drug laws. In October 2011, Santos called for similar reforms as those he discussed in his Nobel speech, saying that the Drug War needed some new thinking if it was really looking to resolve the issues of violence and addiction. The world needs to discuss new approaches… we are basically still thinking within the same framework as we have done for the last 40 years. A month later, Santos sat for a lengthy interview with The Guardian, echoing his earlier remarks about the need for drug reform in Colombia and the violence that has persisted in the country as a result of the ongoing Drug War. We have gone through a tremendous experience – dramatic and costly for a society to live through. We have lost our best judges, our best politicians, our best journalists, our best policemen in this fight against drugs and the problem’s still there.